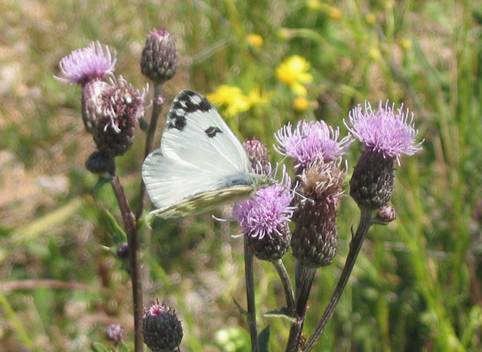 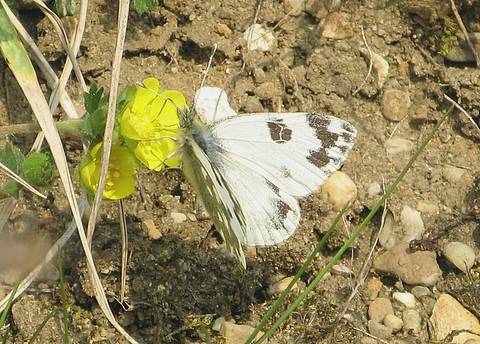 The Bath White is a species which was formerly reported from more or less the whole of France though maybe as a migrant in the northern range. 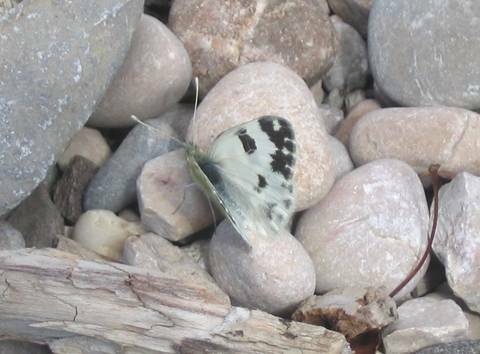 However, it seems to be in significant decline and is now only seen regularly in the southern half of the country. 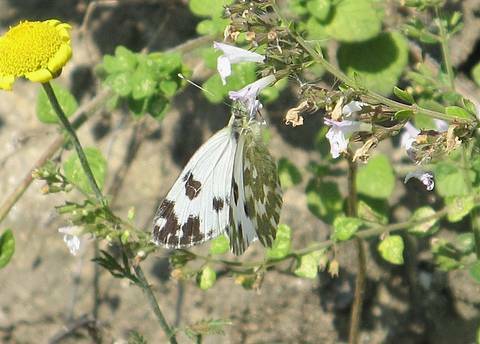 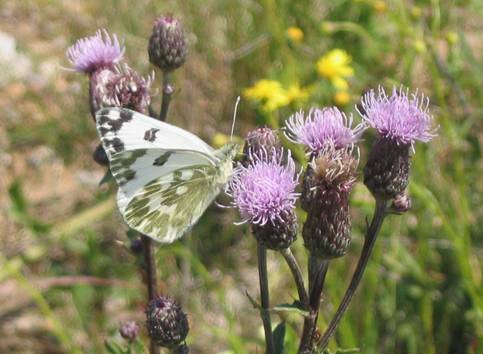 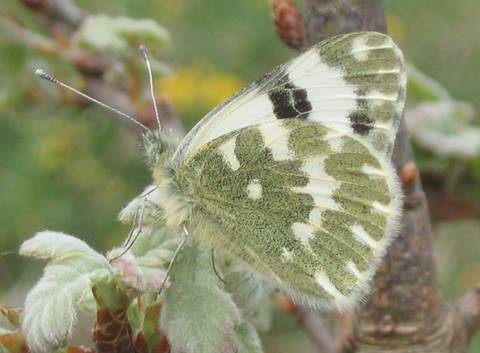 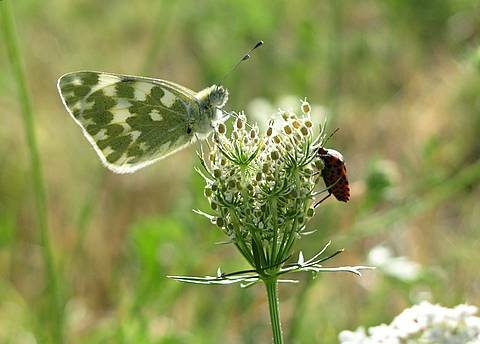 The butterfly resembles the dappled whites.......but from the underside view Bath White has quite strongly marked green and white areas whereas 'dappleds' would be more irregularly blotched. 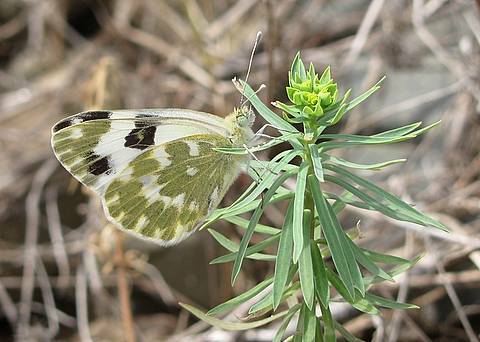 There is now another catalogued species called the Eastern Bath White (Pontia edusa) which is supposed to replace daplidice in the central/eastern part of Europe though is visually inseparable.